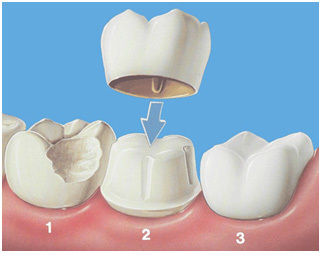 Gone are the days when the only option for capping weakened teeth involved the use of metallic components inside the outer white ceramic. Over years, we have started noted that this metal component has led to build up of rust residuals and it could have caused metal allergy and other unknown health problem. 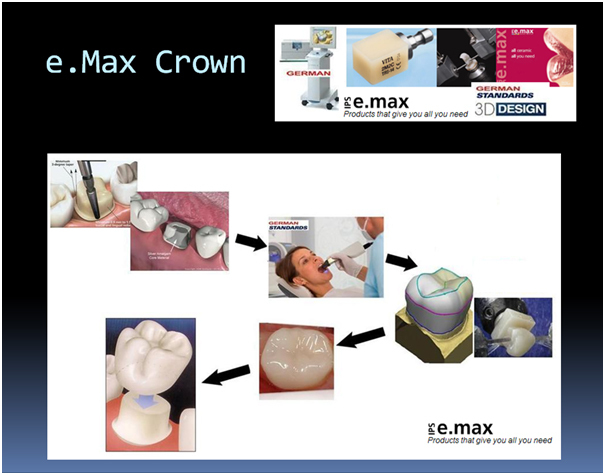 With the development of new tough type of ceramic material called – e.Max along with 3D advanced Computer devices, we now can keep away from using potentially health- hazardous metals for use in a variety of dental treatments, and also it is now possible to create a beautiful, more natural looking smile from the pure 100 % ceramic on a single visit to our clinic. The inherent associated problems of darkened gum lines and visible dark shadows (from metal rusting) within your mouth are effectively eliminated through the use of all-ceramic crowns and have paved the way for new and positive treatments in both general and cosmetic dentistry. 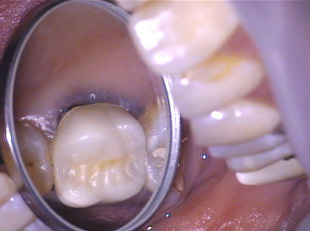 While most of local dentists will request you to visit the clinic twice in total to get Crown prepared and glue it on the tooth, our clinic is fortunate enough to have been equipped with advanced high-tech German 3 D Computer facilities. By utilizing pre-factory made blocks of All Ceramic from Germany, we now can design and get All Ceramic Crown made while you are waiting! The result is guaranteed very same quality as if you receive it from top clinics in Berlin, Germany.